We have chosen venues that have easy access on bus routes and have parking available, if possible, for free within a short walking distance. These venues have access to toilets and baby changing facilities. Drop in or Pre Booked? We hope to be as flexible as possible. You can either drop in for a session, pre-book a drop-in session or pre-book a half term of classes at a cheaper rate. 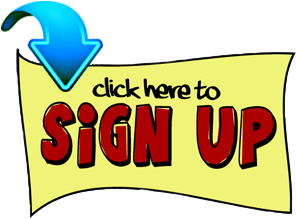 It may be difficult for you to attend every week due to work or other commitments. 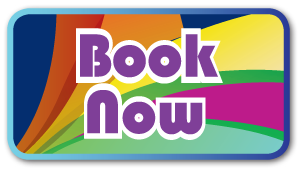 You can still pre-book a block of classes at the cheaper rate, provided that you use the pre-booked sessions within a term and email us at least 24 hours before with the days/locations you will be attending as we are limited to 12, 15 or 20 in a class depending on the size of the room. If there are a high number of drop in’s we may not be able to accommodate everyone if you have not booked. If you know you want to do a one off drop in session and want to reserve a place then just email us, preferably 24 hours before a class and we will let you know if there is space available. What if you or your little one is ill? How to book catch up sessions? If you can let us know asap if you miss a session and want to reschedule. If you send us a message using the contact form letting us know which session/day/location you would like to book providing there is enough room you can join another class later that week or term however, you may miss out on the weeks theme. If you can avoid attending classes when you or your little one is ill it helps to prevent germs from spreading. 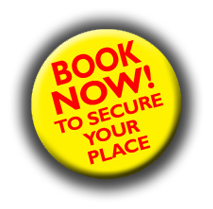 With the catch up session you don’t have to worry about missing out or losing your money for your pre booked session. Please try to arrive on time or let us know if you are not coming at least 1 hour before the session starts. If we can keep talking to a minimum that would be really helpful. Hopefully there is time both before and after classes to make new friends and to catch up with existing friends. If we can avoid letting little ones have food during sessions so that there are no sticky fingers on the puppets and instruments that would be ideal. Water, bottled milk and breast feeding are all fine of course. We use lots of instruments, props, puppets and materials to develop baby’s eye co-ordination and to help strengthen eye muscles by encouraging them to follow objects and puppets with their eyes. With the real instruments allowing them to see and make connections with the sounds they hear, they can also experience different textures and materials through our other props used in sessions. 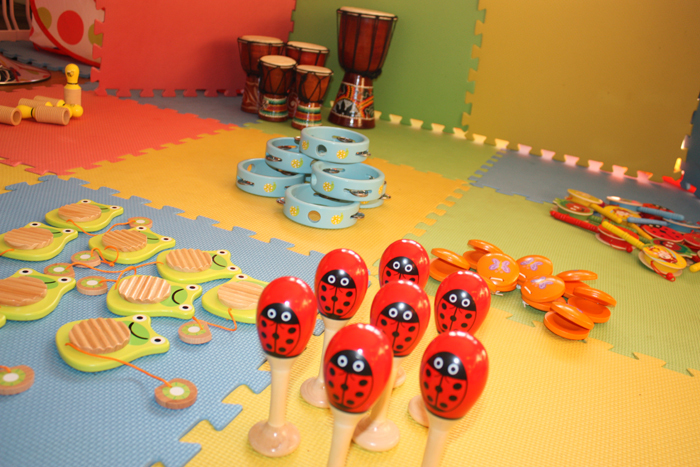 We encourage you to get your baby to touch and eventually hold the different instruments and puppets used in classes. This in turn helps to develop their gross motor skills, so that they can grasp and hold objects. We use their curiosity and interest to help them develop their physical movements and to encourage them to crawl towards objects that intrigues them, helping them to develop self confidence and independence. For the walking and more active toddlers we incorporate a lot more movement in our classes which in turn develops their independence, co-ordination, sense of timing, social skills and self esteem. As their gross motor skills develop we use carefully chosen instruments and props to help your little one develop their grasping, holding and rotating actions. We build on developing their sense of curiosity and discovery by encouraging movement which in turn develops their social bonds and skills, with moving to musical beats and rhythms helps to encourage brain responses linked to developing speech. 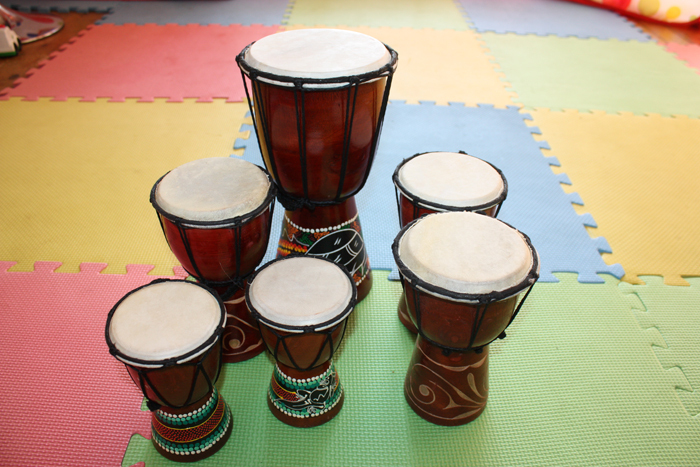 We encourage them to copy rhythms, learn to start and stop together to help develop patience and to develop their listening skills by identifying well know sounds and noises. Other research has linked rhythmicity (the ability to tap a beat) with increased reading ability in older children. It’s been documented how babies who participate in interactive music classes with their parents smile more, communicate better and show earlier and more sophisticated brain responses to music. Studies have also found that babies who engage in making music (with simple instruments like drums and shakers) and moving to music (even if parents have to help them wiggle) use more communicative gestures, such as pretending a banana is a telephone or hugging a doll to show affection around 12 months, than those who listen passively to music. Also allowing them to point to objects, wave goodbye, easier to soothe and less distressed when things were unfamiliar to them. Music calms and relaxes babies. It increases flow to the left hemisphere of the brain which controls language. We use nursery rhymes and repetitive songs as the repetition helps establish order and mathematical reasoning, plus a sense of security. Babies bounced in time to music and encouraged to clap can help develop social bonds between parents and their little ones. Singing songs to your child widens their vocabulary and improves listening skills, both of which make learning to read in the future easier. The classes for the toddlers are designed to help them develop their sense of curiosity and discovery, sense of timing and co-ordination. They can discover sounds that are made through movement, and the ability to move to a beat links brain responses to speech. Movement is a fundamental part of music, moving, marching, rowing and dancing all help your little ones to bond and work together in unison, which also helps develop their social bonds and skills. Music aids childs development and there is evidence that it helps later on with maths, foreign languages and scientific problem solving, this also improves and develops self esteem. As a child starts to distinguish between different musical rhythms it can also help in their capacity to understand grammar later on. The brain processes different aspects of music such as rhythm, timbre and tonality, which can activate motor actions, emotions and creativity when listening to music. It can also help strengthen memory skills. All of which have a positive impact upon your little ones learning skills. Professor John Sloboda, Keele University. Dr. Trainor. and Dr. Bales's research.